RELY ON OUR SERVICES AND YOUR EQUIPMENT Culinary Technicians has been servicing the food industry for over 15 years with prompt, reliable and honest services. 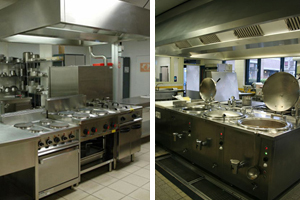 We are the industries leading commercial kitchen repair and maintenance company. PROTECT AGAINST EQUIPMENT LOSS We are very unique in our ability to service and repair hot and cold commercial kitchen equipment including refrigertation. COMMERCIAL FOOD SERVICE EQUIPMENT SALES Call 631-608-3910 for more information. WE ARE HERE TO HELP OUR CLIENTS Whether it is a technician out in the field or a parts expert at our warehouse, we offer personalized service. We want our clients to be successful. Our technicians are more than happy to help inform our clients with updated service information and bulletins on their equipment or teach staff the proper techniques for maintaining and cleaning equipment. Our parts experts help clients get the proper parts they need or help them find equipment that will suit their facility just right! And our service vehicles are stocked with the industries most common parts!